A guide to help you find a soda for every flavor craving you may have. With hundreds of craft sodas on the market, making a decision about which soda to try can be a daunting task. There are several sodas for every craving and different ways to enjoy them. After tasting a few of the best, here are six categories and the best way to enjoy each. Root beer: For a twist on a classic favorite, look to butterscotch, caramel, or maple root beers. Dang!, a soda line, makes butterscotch root beer that has a crisp root beer taste followed by a sweet and warm butterscotch flavor, reminiscent of butterscotch hard candy discs from Gramma’s candy dish. If you want to keep it classic and prefer to drink out of a hearty glass mug, ask for the 1919 root beer, which you can find on tap at Antiqology. Cream soda: Choosing a cream soda from the numerous varieties isn’t easy, and you can’t go wrong with many of them. However, Sprecher makes has one that stands out from the others. Made in gas-fired kettles in Wisconsin with real honey, it provides a full bodied cream soda experience that is best enjoyed crisp and cold, but the creamy vanilla is more prominent as it warms. Fruity: If you’re craving something tart, fruity, and reminiscent of a Jolly Rancher, give Sioux City Prickly Pear a try. Prickly pear is the fruit of a cactus found out west, and the company capitalized on this unique flavor. Naturally colored with cabbage, it has a tart and crisp cherry and watermelon flavor with a kiwi-esque aftertaste. Although it’s incredibly sweet, it will knock that fruity craving away. Seasonal: Each season has its own classic tastes, and Thanksgiving brings to mind a table of pies. 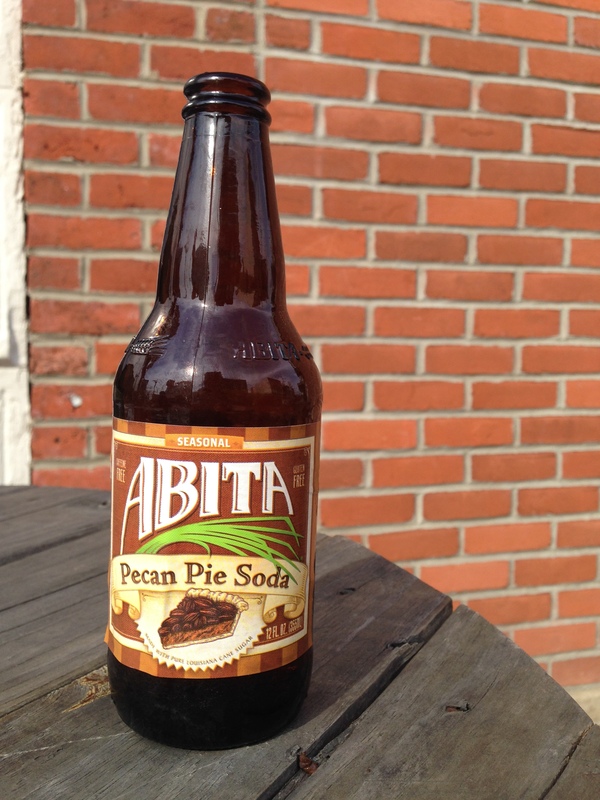 There are pumpkin spice drinks out there, but if you want to defy the “pumpkin everything” season, then opt for Abita Pecan Pie Soda. It is sweet and similar to a cream soda, but with a distinct fall twist. The soda has a praline undertone, and a sweet and salty taste that you would expect to taste in a pecan pie. International: Fentimans is an English brewing company with a unique dandelion and burdock drink. It is a fermented botanical drink with hints of pear and ginger to spice it up. The eclectic bottle is an added touch that makes this drink look as eccentric as it tastes. Fictional: Harry Potter fans unite– Flying Cauldron makes a butterscotch beer to model the famed Butterbeer from the fictional Hogsmeade wizard village. Complete with a label that paints a picture of the wizard world, this butterscotch beer has a warm and buttery taste that would be good cold or warm. Grab your wand and give it a try! For a unique twist, pour it over praline pecan ice cream and experience a magical, frothy treat that is comparable to actual Butterbeer from the tap. With ice cream: You can’t go wrong with any of your favorite root beer or cream soda over vanilla ice cream. Black cherry cream soda over vanilla provides a fruit and cream balance that dances across your taste buds. Antiqology is a great place to start when searching for a new favorite, and you can buy more than one bottle and take them home. However, if you fall in love with a soda or need a larger quantity, turn to Amazon or do a quick internet search to seek out other online retailers that sell sodas at lower prices for larger quantities. Some of your classic favorites can also be found at common stores such as Walmart or Owen’s. Crush, Coca-Cola and the more unique Boylan’s are all available for purchase at these store, but be sure to check before you count on it being there. Even if you found it at a store in one town, it may not be sold in another. Grab some friends and go find your favorite – and don’t be afraid to venture outside of your realm of comfort. You may find yourself pleasantly surprised.